Kapoor Oil Mills, being one of the most recommended Cow Rubber Mats Manufacturers In India has an extensive range available that offer good comfort to the cows. Concrete flooring can pose serious harm to the animals and in order to protect them from such injuries, you should invest in a cow mat. If you have any doubt over your decision, have a look below at its benefits to clear them out. Non-Slip Surface: Their firmness help the cow maintain their grip, which minimizes their risk and chances of slipping. Provide Support And Comfort: Cow stands for a prolonged period in a day, which makes them tired and affect their productivity as well. But installing Dairy Cow Rubber Mats offer them comfort that further enhance productivity. 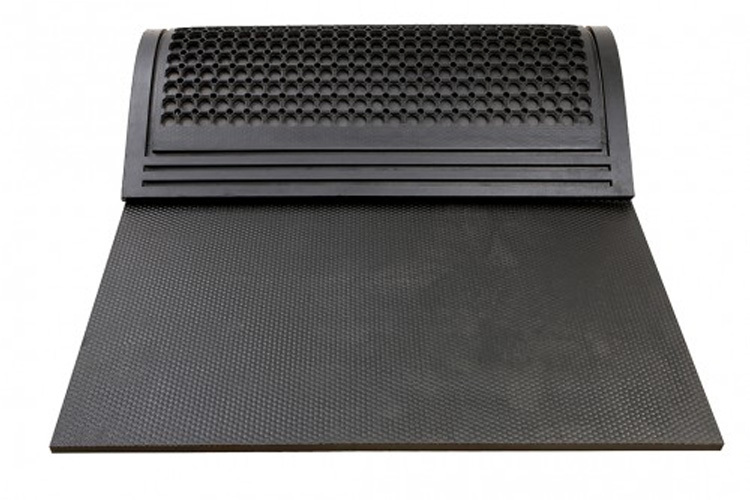 Hygiene: Rubber mats have proven to maintain the hygiene level in the sheds or farms. They are easy to clean and do not retain moisture. Also, they are available in waste drainage design to maintain better cleanliness. Cow Rubber Mats are designed in different patterns and thicknesses with the use of top-grade vulcanized rubber that guarantee high tensile strength, hardness, anti-abrasive, density and high insulation. Hence, it provides high comfort and protects from shock, bacteria & coldness to cattle. Easy to clean and maintain, these also helps in increasing the rate of milk production and improving health of cow. In addition, we provide Rubber Cow Mats; at the most affordable prices with multiple easy options of payment. Catch-Up With Our Executives To Order Now! Being one of the prominent Rubber Cow Mat Exporters and Suppliers In India, we make sure that the quality of our offered range won’t disappoint you. And for that, we are ready to walk some extra miles. We have wide designs ready to dispatch at our in-house facility, get in touch now to place your bulk order.